Citizen Science programs are where kids and adults help make important discoveries. Take an epic journey with monarchs or leap and learn with frogs and toads! You and your students can be a part of helping better understand the world around us. Reserve your workshop today by calling (402)738-2092 or contact Scouts@omahazoo.com. Open your students’ eyes to what they can do in their own backyards! Private Citizen Science workshops are available by reservation three weeks in advance. Minimum participants in a reserved workshop is 10 people with minimum age of 6 years old. Cost is $15/person unless reserved with a Campout program then adults are free. Cost includes supplies and equipment use. Workshops run 2 hours in length and are from 9:00 a.m. to 11:00 a.m any day of the week. Contact the Education Department at (402) 738-2092 or Scouts@OmahaZoo.com . 4C is an immersive program, open to all curious and concerned citizens, who are interested in the health of our creeks and value their conservation. Together, we discover what a healthy creek looks like, perform biological and chemical monitoring tests, explore living organisms within that ecosystem and work toward the conservation of clean creeks in our own backyards. Contact the Wildlife Safari Park Education Department at (402) 738-2092 or scouts@OmahaZoo.com to inquire about training programs. Close to 6,000 known species of amphibians live in our world; however, many are going extinct at an alarming rate. Currently, almost 2,000 species are threatened with extinction; that is nearly 1/3 of the planet's amphibians. This percentage is considerably higher than other groups. For example, 23% of mammal species and 12% of bird species are at risk. In order to accurately assess the level of threat, a great deal of research needs to be conducted. Lee G. Simmons Conservation Park and Wildlife Safari aims to develop an understanding of how a mass decline of amphibians will affect the balance of nature; and to give area youth the opportunity to conduct a statewide amphibian survey to determine the viability of amphibian habitat and health. We cannot save amphibians alone. They need your help and you can make a difference. 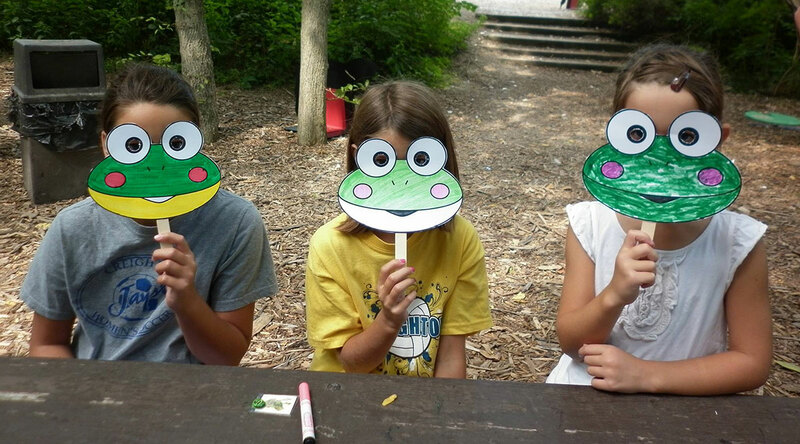 Become a FrogWatch USA citizen scientist and join a community monitoring frogs and toads through the nation. Learn how you can help protect these important animals by gathering information on calling frogs and toads at wetlands in your community and adding your observations to a national dataset. FrogWatch USA has established an expansive network of chapters across the United States, hosted at Association of Zoo & Aquariums-accredited zoos and aquariums, nature centers, and similar organizations. Chapters are led by chapter coordinators - trained experts in the program - who mentor volunteers in their community and host training sessions to recruit new ones. The Lee G. Simmons Conservation Park and Wildlife Safari is a certified chapter. Wildlife Safari Park needs your help! 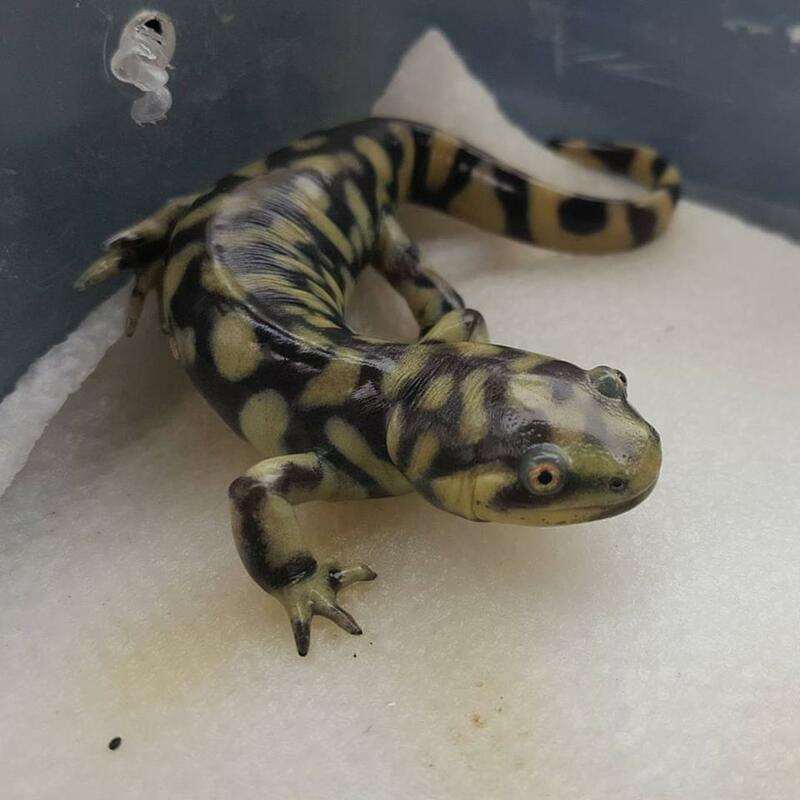 We are on the lookout for tiger salamanders (Ambystoma tigrinum), a species that was last spotted in this area almost 10 years ago.We are looking to you for help in collecting data to see if they are still in eastern Nebraska! Contact the Wildlife Safari Park Education Department at (402) 738-2092 with the following information about your salamader find should you spot one: Name, Address, City, State, Zip Code, Phone Number, Email Address, Location, GPS Location, General Description and Comments. Remember, please do not touch or disturb the salamander, just let us know where you saw it. It’s that simple! For more information contact the Wildlife Safari Park Education Department at (402) 738-2092 or scouts@OmahaZoo.com to inquire about training programs. Why are they important for more than just your garden blooms, and what can we do in our own backyards to protect them? Join our conservation crew as we learn to identify beneficial backyard pollinators and create and enhance their habitats. Bee empowered to protect pollinators! Monarch Butterflies migrate large distances from Mexico, where they winter, to central and northern United States. To gain a better understanding of their populations and migration patterns, citizen scientists tag monarchs in late summer early fall when monarchs are in their “Super Generation” on their way back to Mexico. The tags are in conjunction with MonarchWatch.org and the University of Kansas that take the data collected during the tagging and monitor migrations. Worldwide, there are nearly 17.500 species of butterflies, grouped into five families: Hesperiidae, Papilionidae, Pieridae, Lycaenidae, and Nymphalidae. Close to 750 species inhabit the United States and Canada, most notably the Monarch and Regal Fritillary that can be found in Nebraska and surrounding states. Approximately 3 percent of butterfly species are threatened with extinction. This decline in butterfly populations is attributed primarily to habitat loss due to urbanization and agriculture. As populations continue to decrease, a growing need to more closely monitor species is developing. Because there is little distinction between some types of butterflies, identification and classification proves to be a challenge. Very few Lepidopterists (scientists who study butterflies and moths) exist; therefore monitoring population sizes and ranges of butterfly species is a daunting task. Nationwide, butterfly counting events have become popular for families, schools, and hobbyists alike. Not only do they provide a valuable learning experience, but they also allow individuals to partake in citizen science. By participating, citizen scientists are able to provide researchers with useful data. Lepidopterists are able to utilize information collected from butterfly counts to pinpoint regions or species of interest for additional studies.